The day is finally here! After months of gloomy forecasts, dire predictions from the World Health Organization (WHO), and anxious questions, there's actually some positive news to report about the Ebola outbreak in West Africa. According to the WHO, the rate of Ebola cases in Liberia is slowing, lending some confidence that public health strategies to combat the highly lethal virus have been working, even in such a large-scale outbreak. Basically, it's an early, visibly positive step in a long-term crisis. The rare moment of positivity isn't a license to get comfortable, though, since it's by no means secure. As the WHO's assistant director-general Bruce Aylward warned in a press conference, if people start taking the response to Ebola less seriously when things begin to improve, the rate of infection could spike right back up, possibly becoming stuck in a yo-yoing pattern. But at present, the rate of infections is reportedly on a slow but steady decline, and it's music to the ears. While the few incidents of Ebola in the U.S. have generated a lot of media attention, it's in three West African states — Liberia, Guinea, and Sierra Leone — where the outbreak began, and where it continues to reap a heavy toll. Of the three, Liberia has suffered the worst, with the highest number of infections and deaths by Ebola in the world. 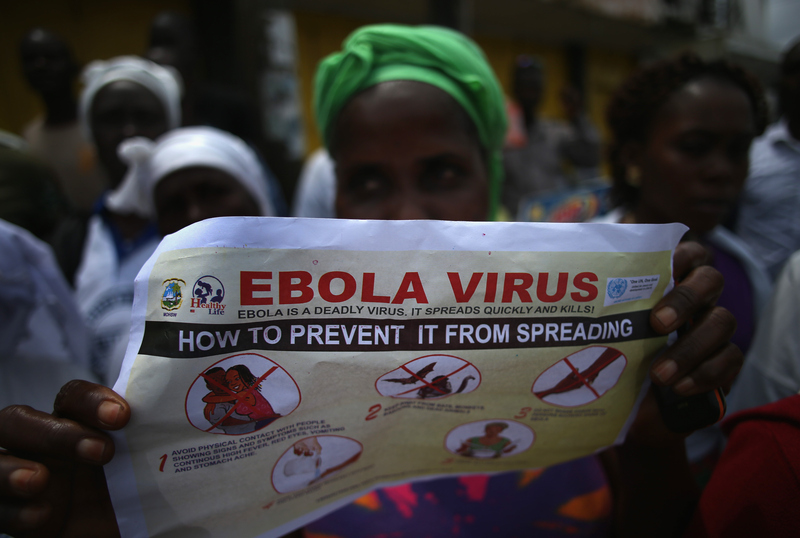 According to data from the Centers for Disease Control, over 2,700 people in Liberia have died from the virus. Basically, if things can even start to turn around in Liberia, that'd be a hugely positive indication for halting the outbreak writ large. Of course, one of the highest-profile components of the Ebola response to date (in addition to recent, huge donations from billionaire philanthropists) has been the stream of selfless, courageous doctors and aid workers who've entered West Africa to try to help save lives. As obsessed as we might get in America with the scant few Ebola cases we've had, and whether safety dictates we should forcibly quarantine aid workers when they return home there's no practical way to entirely keep any country Ebola-free until health care workers can get the actual hotbeds of the virus under control. Which is why it's been nice to see President Obama speaking up for those very doctors and aid workers recently — he shared the stage Wednesday with a group of health care workers who've been fighting Ebola in West Africa, a major show of support for the cause, and also a major act of symbolism. While conventional scientific understanding dictates that Ebola is only transmissible by contact with symptomatic people's bodily fluids, some people (like Kentucky Senator Rand Paul) have been stoking paranoia that the virus is much more contagious than believed. For the President to appear alongside a group of health workers freshly returned from combating the virus is, in effect, backing belief in science by example. Obama made it clear that he didn't want paranoia about returning workers to tamp down the willingness of new would-be volunteers to get involved. What we need right now is these shock troops that are out there leading globally. And we can't discourage that, we need to encourage it, and applaud it.